I have Scarpa Charmoz GTX Women boots for mountaineering (upper than 4000 m) in Iran. I want to find a good pair of crampons for them. I cannot choose automatic crampons but somebody says I can use newmatic or semi-automatic crampons. Is it correct? If yes which brands do you suggest? Looks like you'll need Newmatic crampons. The Charmoz GTX has a heel bail but no toe bail, which means you will need a strap over the toe. 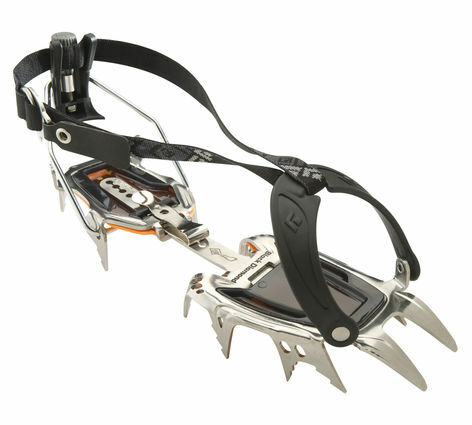 Many crampons today come with a choice of configuration between a step-in or toe-strap, and most step-ins can be refitted with a toe-strap after the fact as well. The actual type and model of crampon recommended varies with the intended activity (and budget), however. So all else being equal, anything with a toe strap will work. Not the answer you're looking for? Browse other questions tagged mountaineering boots crampons or ask your own question.